I usually think of roasted vegetables in the winter with root vegetables slowly carmelized in the oven. But now I’ve discovered the wonder of creating this full, slightly sweet yet smokey flavor on the grill! 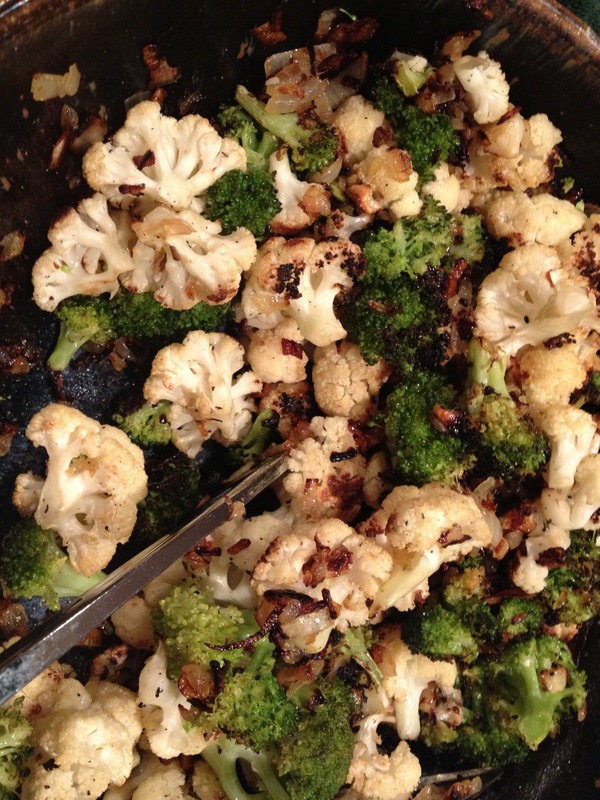 I chopped the broccoli and cauliflower, then added some coarsely chopped garlic. Olive oil was drizzled over the vegetables and tossed to coat them. I heated the grill with the grill basket inside and the cover down. When it had reached about 400 degrees, I threw the vegetables into the basket and turned the heat down and closed the cover. Now, you have to be a bit patient! Open and toss the vegetables around every 5 minutes or so. If they are getting too charred, turn the heat down (yes, I use a gas grill). Keep closing the lid between stirring and turning the vegetables. When they are just cooked and still a bit crisp, you’re done! You can use them as a side dish, or add them to another recipe. 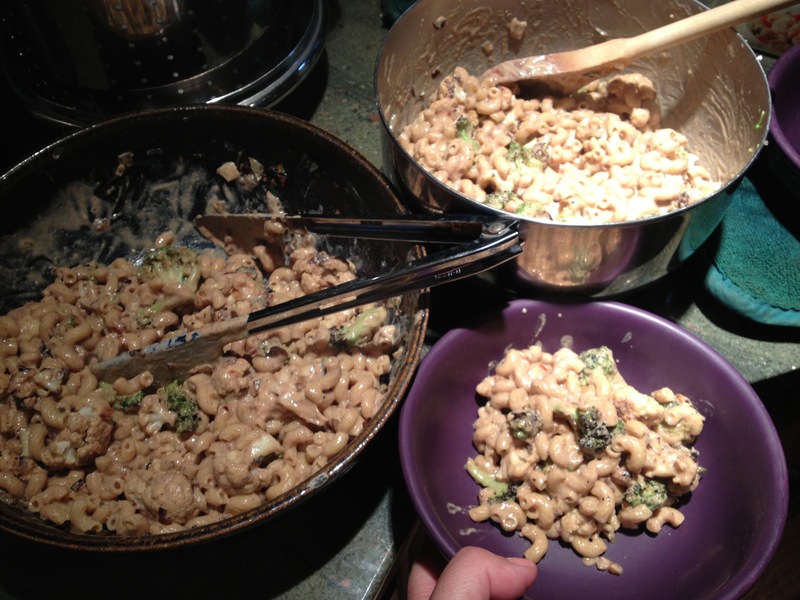 Tonight I chose to use them in Sam’s Creamy Roasted Vegetable Pasta! And it was wonderful! Thanks for sharing my recipe! 🙂 I wish I had easy access to a grill! Your veggies look delish in this recipe!